If there’s one thing folks across both ends of the smartphone spectrum will agree on, it’s that 2017 brought some big upgrades to flagships. We got 10nm processors, edge to edge displays, facial recognition and impressive camera upgrades. However, all these were limited mostly to only devices from mainstream manufacturers. Others found it harder to adapt. However now a year after, it is easier for them to spread across the market. To that end, Chinese smartphone starlet Xiaomi has a big device coming up. 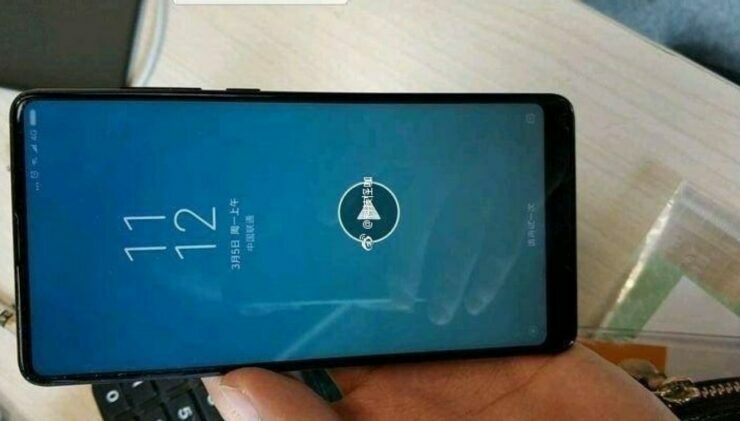 The Xiaomi Mi Mix 2s is due to launch on the 27th and has featured regularly on the rumor mill. With a week remaining till it’s launched, it’s high time for a rumor roundup. 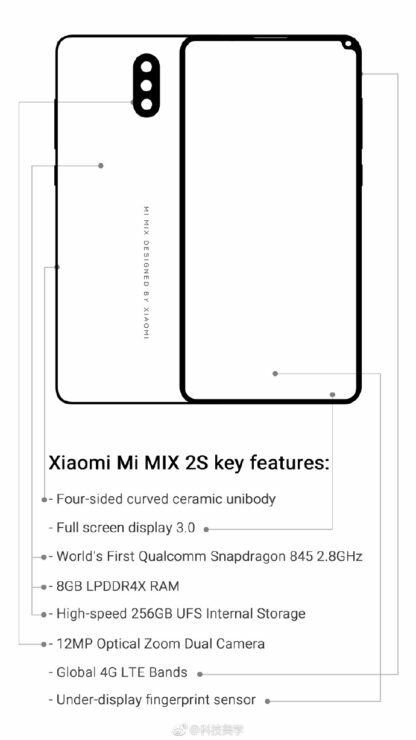 So if you’re wondering whether Xiaomi will finally break ranks in the flagship smartphone world with the Mi Mix 2s, take a look below for all of the details. Last year, manufacturers focused on a handful of specifications to ensure that flagship smartphones are worth the price demanded. These are limited primarily to display and biometrics. However, as evidenced by the freshly launched Galaxy S9 and Galaxy S9+, this year it’s all about cameras. Samsung finally equipped the Galaxy S lineup with a dual camera setup, and threw in super slow motion recording and variable aperture lenses. If you recall, the Xiaomi Mi Mix is one of the first smartphones to feature an edge to edge display. Xiaomi launched it in 2016, beating all other manufacturers. However, the Mi Mix, just like the Mix 2 features an LCD display, a deal breaker for a lot of users. With the Mix 2s, Xiaomi will upgrade the smartphone in several areas. So, let’s start off with performance. Rumors claiming that the Mix 2s will feature Qualcomm’s Snapdragon 845 are older than Samsung’s Galaxy S9 and Galaxy S9+. While initially they consisted of fluff stories claiming that the Mix 2s will feature the processor and launch before Samsung’s 2018 flagships, things are clearer now. In fact, Xiaomi itself has seemingly confirmed the upgrade in a teaser video. The Snapdragon 845 is Qualcomm’s latest processor built on second generation 10nm LPP. This offers performance and power efficiency improvements of 10% and 15% respectively. The Snapdragon 845 features four Kryo 385 Gold and four Kryo 385 Silver cores, in a big.LITTLE configuration. These are derivatives of ARM’s Cortex A75 and A55 respectively, clocked at 2.8GHz for the Gold and 1.8GHz for the Silver. 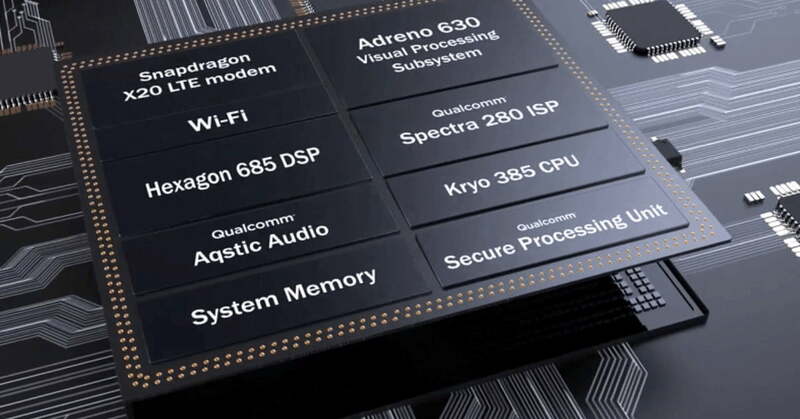 The Snapdragon 845 is an important upgrade, especially since it will feature major changes for the Adreno 630 GPU. Qualcomm’s strength is graphics performance and the latest Adreno GPU will further cement this edge. Subsequent leaks paint a more interesting picture for the Mix 2s. Out of these, we’ve shared the relevant ones in the images above. 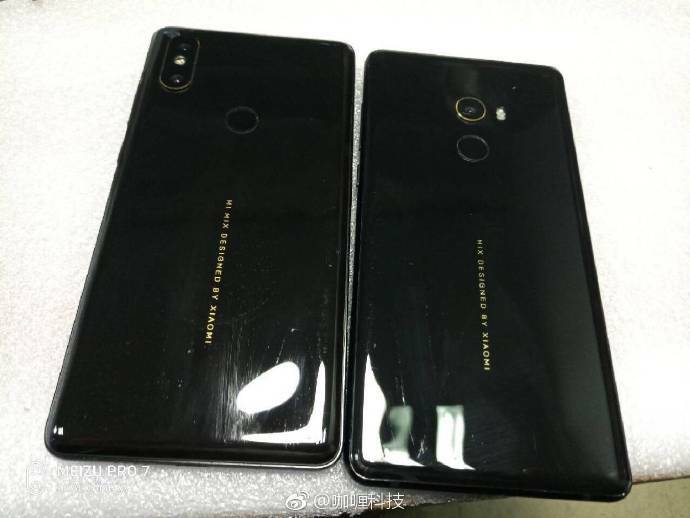 The one on the right is an Antutu score for the Xiaomi Mi Mix 2s. 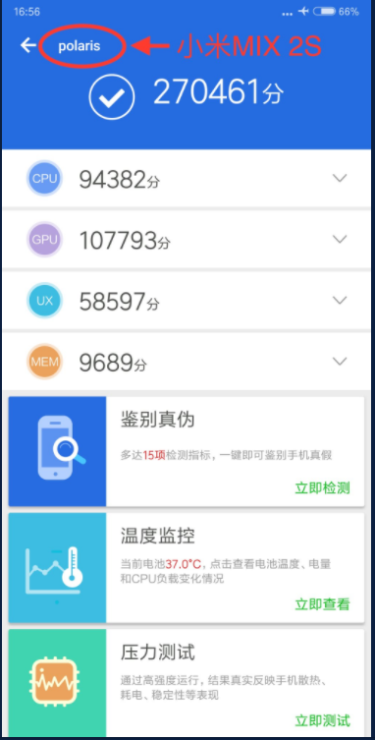 If it bears fruit, the Mix 2s will be at the very top of Antutu’s strongest performers, beating even the Galaxy S9+. The second image above shows us why this might take place. The Mix 2s will feature 8GB RAM according to this image, information witnessing a lukewarm response from the rumor mill so far. Should Xiaomi really equip the smartphone with this amount, expect some feathers to ruffle, especially at Samsung. However, as convincing as the rumors are, the verdict is still out on RAM capacity. Perhaps we’ll get 6GB and 8GB variants, differentiated on the basis of internal storage. 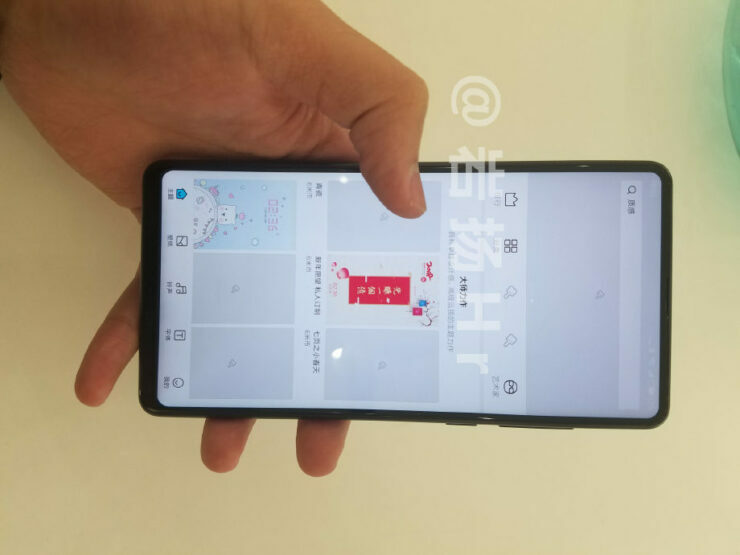 Leaks and speculation related to the Mix 2s’ design are more common than those for its specifications. Last year’s Mix 2 featured a one of a kind design, one which enables the smartphone to stand on its own two feet when compared against the heavyweights. 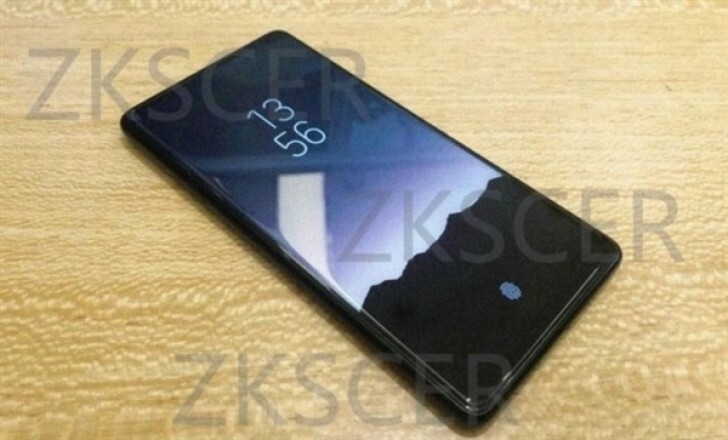 Now, we have good reason to believe that Xiaomi will not change many details this year. Overall form factor for the smartphone will resemble its predecessor, with only slight changes for sensors as the Mix 2s will feature a dual camera setup and relocate the front camera sensor at the middle of its bottom bezel. Design for the device is also one of those features which has witnessed interesting speculation over the past couple of months. If you’ll remember, the Mix 2 features its front camera sensor at the bottom. 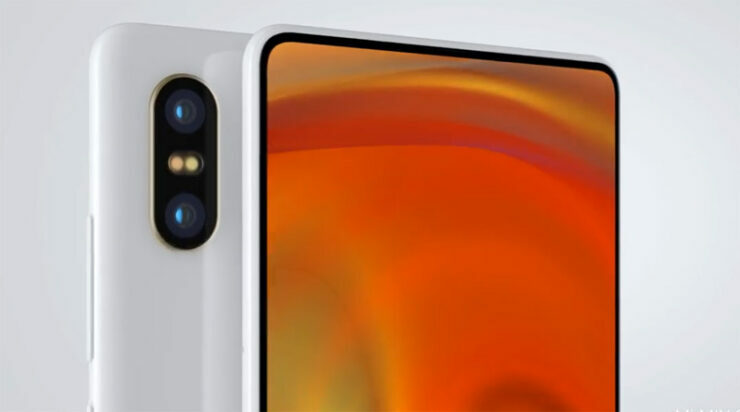 This allows Xiaomi the ability to create an illusion of a virtually non-existent top bezel. Early on this year, some sources speculated that the Mix 2s will feature the front camera sensor at its top right, which is visible in the illustrations we’ve shared above. While this undoubtedly looks great, at the moment, evidence against this change outweighs evidence for it. Finally, moving towards the display, we’ve got little details for this department. It’s expected that Xiaomi will not equip the Mix 2s with an OLED display. 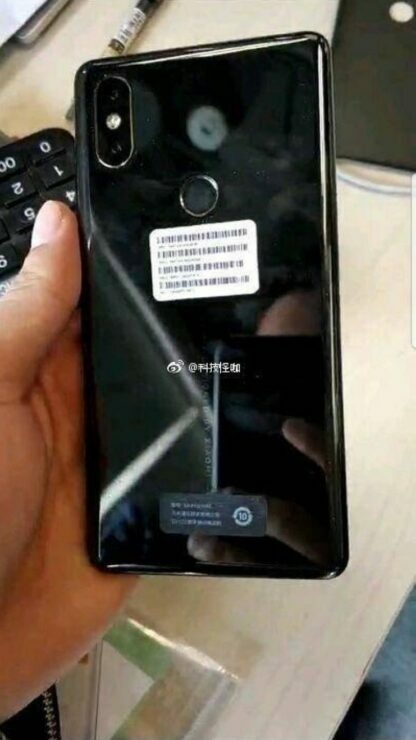 Instead, the device is rumored with an 18:9 FHD+ panel. The bulk of upgrades on the smartphone will focus towards photography, as it is the one critical feature in which the Mix 2 is unable to keep up with other devices. On that note, let’s head over to photography and camera. Camera performance is the biggest rumored upgrade on the Xiaomi Mi Mix 2s. The smartphone’s predecessor isn’t quite up to par, and Xiaomi will change things now. Presently, there are a handful of camera tricks which are exclusive for flagship smartphones. By the looks of things, the Mix 2s will feature all of these. The first, is a dual camera upgrade. This receives support from a lot of different sources. 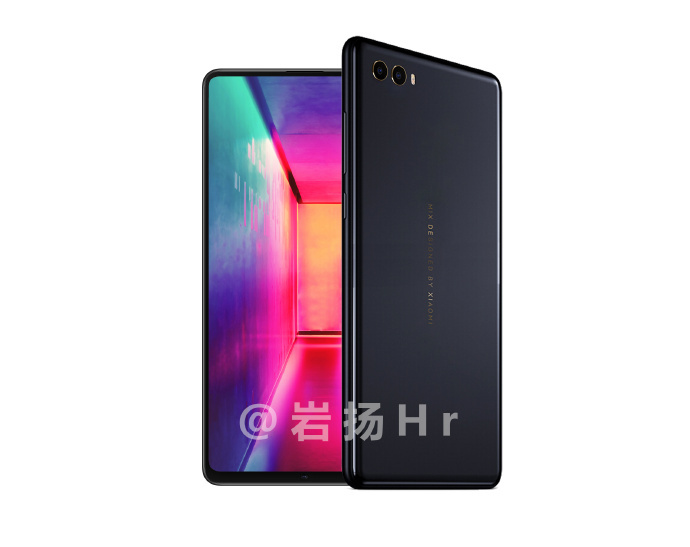 You can take a look at one of these, an alleged Mix 2s image with the setup above. The second important feature will allow the smartphone to capture photographs with depth of field manipulation to separate an object from its background. 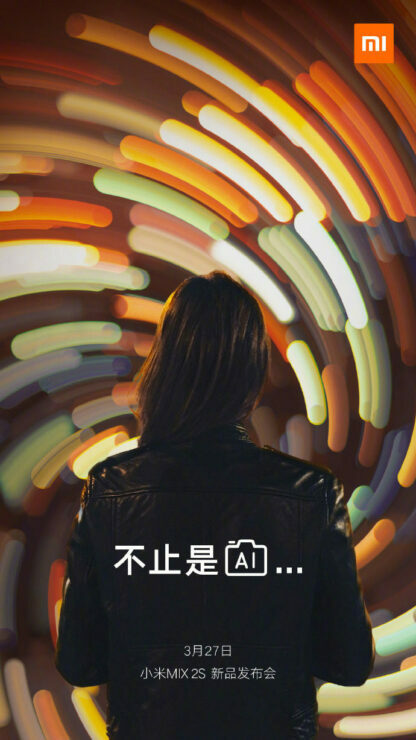 The image on the right above is a teaser from Xiaomi’s end, which just about confirms the feature for the Mix 2s. However, if you were wondering that this is the end of it, you’re mistaken. A big leak which took place just three days back claims to provide a lot of new details for the Mix 2s’ rear camera. A big feature this MWC was Samsung and Sony’s introduction and upgrade of super slow motion video recording, respectively. Samsung debuted the feature on both the Galaxy S9 and Galaxy S9+, with the latter being a dual camera smartphone. Sony on the other hand, upgraded recording capabilities, with the Xperia lineup able to record 1080p at 120 frames per second. 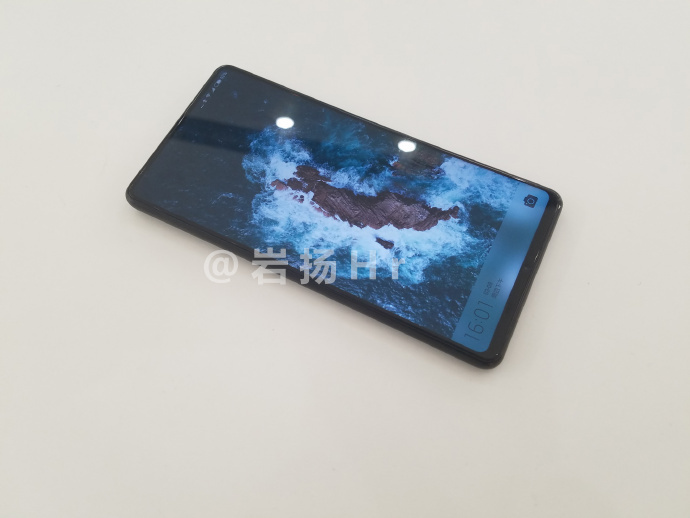 Now, it’s believed that the Xiaomi Mi Mix 2s will also record 1080p at 120fps, out doing the Galaxy S9 and Galaxy S9+. The smartphone will feature Multi Frame Noise Reduction courtesy of the Snapdragon 845 and HEVC encoding. If this bears fruit, which it will in all likelihood, than the Mix 2s will become one of the strongest camera phones in the market. 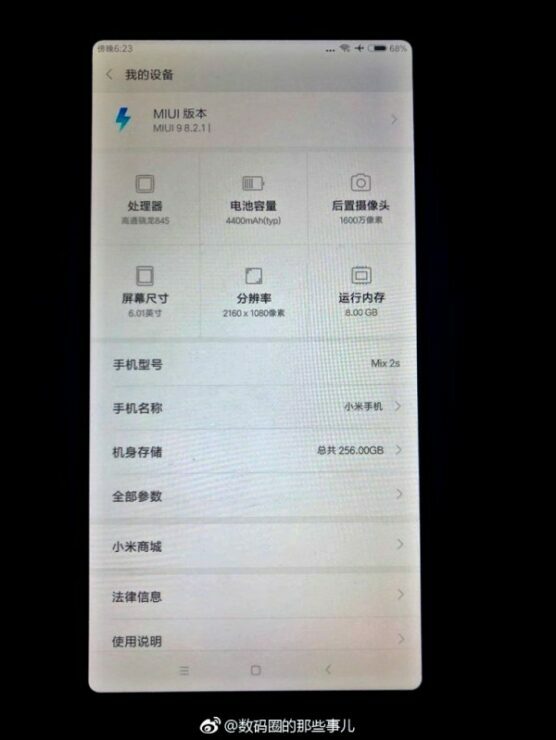 To conclude, the gist of leaks and rumors suggests that the Xiaomi Mi Mix 2s is an all rounder. Its predecessor lacked in camera specifications and Xiaomi is quick to make up for these. 2018 is the perfect year for smaller companies to catch up with the giants. This is due to the fact that all major upgrades took place last year, and as time unravels, it becomes easier for more companies to implement them on their gadgets. 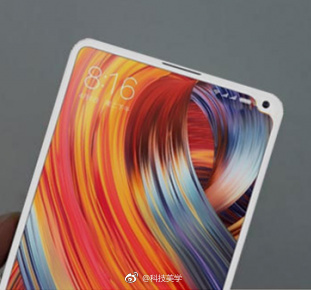 The Xiaomi Mi Mix 2s will launch in six days from now, on the 27th. We’ll be here with all the details. Till then, stay tuned and let us know what you think in the comments section below.